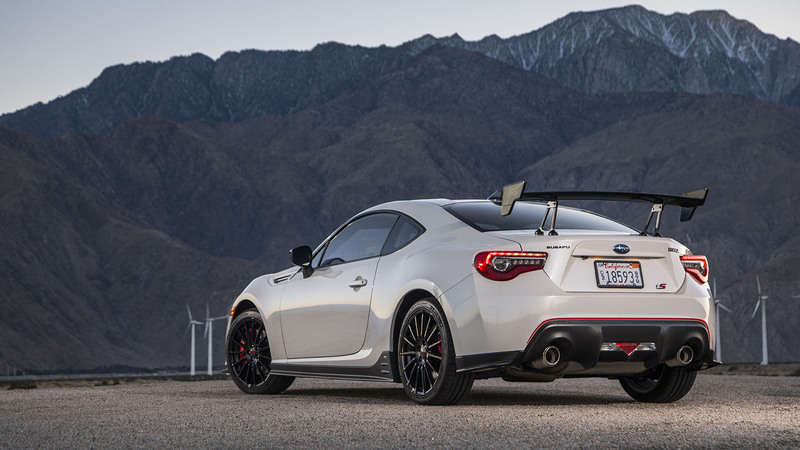 We started hearing the rumblings a while back that an STI-tuned BRZ was in the works. What could that mean? More power? Big turbo power? Super-big turbo power? Super-big turbo power plus a big wing? 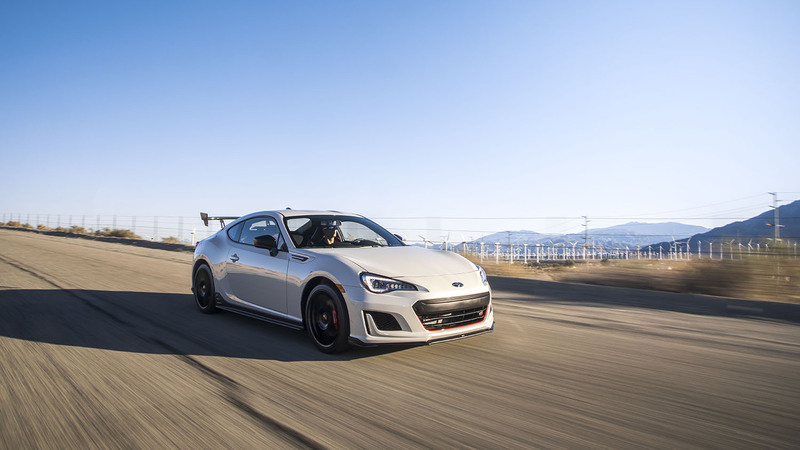 Other upgrades include STI-tuned Sachs dampers, the Brembo brakes found on the Performance Package, and 18-inch Michelin Pilot Sport 4 tires wrapped around STI wheels. Then there’s the interior tweaks, including lots of red accents–including a red start button. The exterior gets black mirrors, some Cherry Blossom Red accents and a tS badge. The foglights have been deleted. The super-big turbo power? 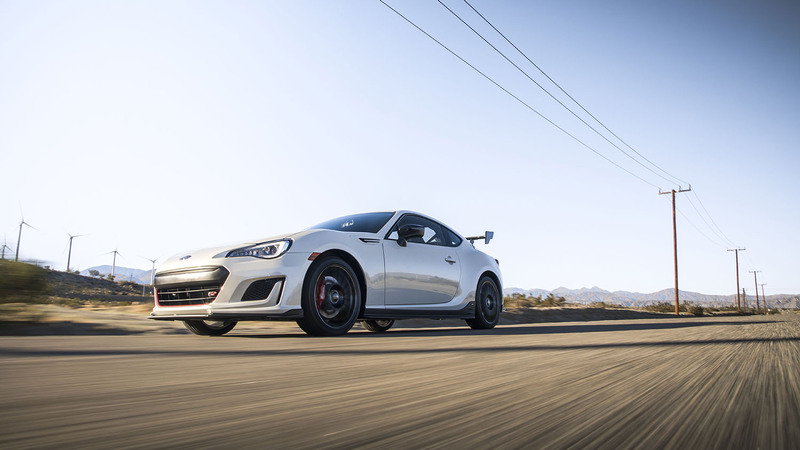 Not on the spec sheet, as the BRZ tS gets the same 205-horsepower engine found across the model line. Subaru says that only 500 units will be delivered. Where the BRZ starts at $25,595, this one retails for $33,495. 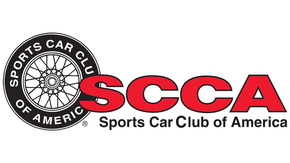 Long-time BRZ fan, first-time tS driver. Does the BRZ need more power? Well, with that comes extra weight, complexity and cost. Then is it still a BRZ? So put me in the camp that’s happy with the current setup. The possible alternative? How about no BRZ? Yeah, that would stink. I’ve been living with and tracking a BRZ for a year now and am still a huge fan. 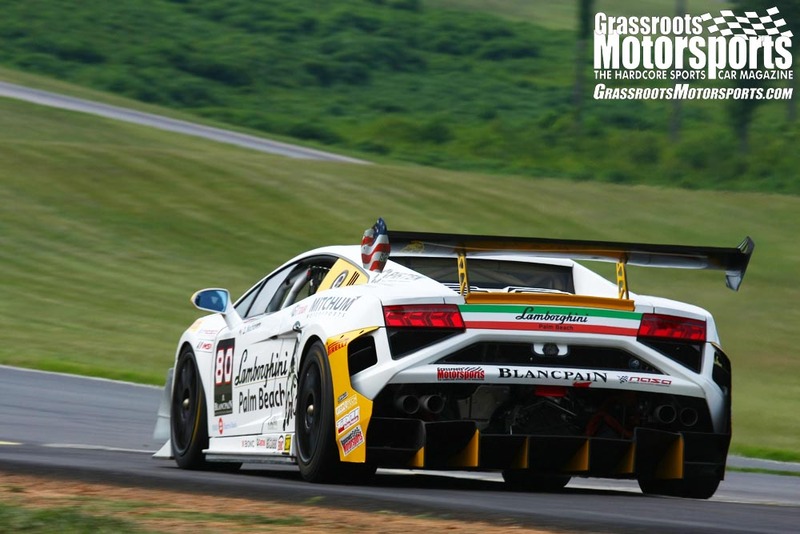 Yes, faster cars exist, but this one is fun at legal speeds. My M3 sits while I drive this instead. It’s the same thing that makes a Miata so much fun. It’s easy to drive at the limit, great on gas, and easy on tires. Plus the BRZ is sized just right for two. The back seats are just a place to store stuff. The tS intrigued me. It’s a lot like the Performance Package but with a wing and some exclusivity. Know what? It’s not for me. The wing just attracts too much attention. And, honestly, this one had a few squeaks. Put me back in a standard BRZ, and I’m totally happy. Interesting footnote: Our local dealer still has one on the lot. It’s in WR Blue, too. So, Subie corrected an (allegedly) underpowered car by adding . . . drag? Oh, and $8,000 to the price tag. Now that is innovation for ya right there! 8 grand for a wing, brakes and wheels? Geez, I know your Bang for the Buck index is super squirrel secret, but I feel it still needs some tweeks. Ts: Tough Sh!t, you aint getting more power. 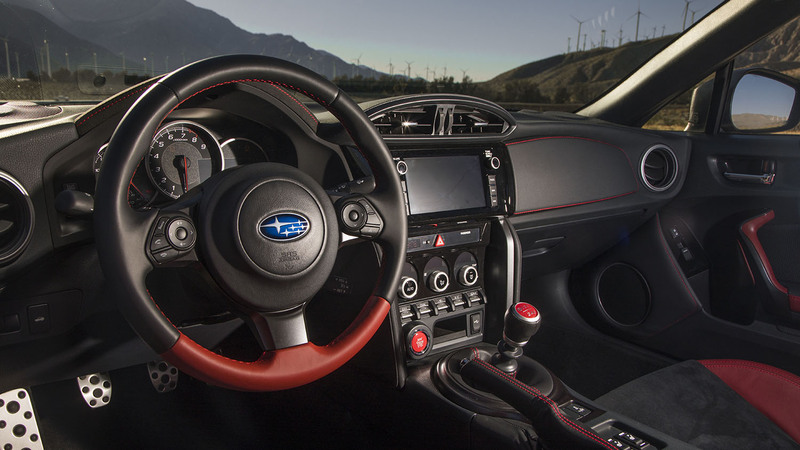 Subaru’s “limited editions” definitely tend to be terrible values and geared toward fanboys. That said, new Limited Performance Package cars are trading at around $26k, which really feels like a good deal to me for a new car with a back seat, roof, and a trunk. Reliable fun that can carry everything you need to the track without any trailers. Yep, sounds ok. This is hilarious, there's a kid at work with a BRZ modified pretty much exactly like this, except his wing is even bigger and more tacky. At least they seem to know their market. Yet they will still sell all of them.. because people are stupid af. It's not completely fair to compar the Ts to the base, the more fair comparison would be to the BRZ Limited. I was hoping for a wing that looked like the traditional STi big rectangle thing. I think something like that would be sweet on the BRZ. This one looks like a $100 ebay special bolted to the trunklid. The package is $8,000 over "base" and thus also includes upgrades included in the Limited edition such as Brembo brakes, SACHS sport tuned shocks, front strut bar and lower crossmember, alcantara seats, 7.5" wide rims instead of 7" wide rims, heated seats, multi function gauge display. Realistically, most people on GRM are at least going to want the Brembos offered in the Limited edition + sport package, so the tS is basically just another $2,500 for the adjustible CF wing, strut bar, crossmember, and some red stitching. Try pricing those options on a new Porsche. I saw the BRZ Ts and new STIwhateverspecialedition together at a dealership for an event. The wing looks better in person than in photos. At least on the BRZ. On the STIxxxxxxx it still looks eBay $100. I know a kid who bought one of these. He's immensely proud of it and thinks it will lead to Big Things. Not really when you read the forums/Facebook groups of the average owners. Everyone thinks they are going to be a drift god and put the car in a ditch OR they are flat-billed, vape bros that ruin the cars by laying frame and having competitions like "Who can pull into this parking lot?" or "How many 1x10's will it take me to get over this speed bump?" Looking at Auto trader for manual brz/frs/86's there are 18 within 100 miles of me from dealers only. 11 are new or certified or sub 10k miles. 4 have salvage titles. The other 3 are 75k miles+. Brz/frs/86 forums are the new Honda forums imo. That said, new Limited Performance Package cars are trading at around $26k, which really feels like a good deal to me for a new car with a back seat, roof, and a trunk. Reliable fun that can carry everything you need to the track without any trailers. Yep, sounds ok. The biggest problem for the FRSBRZ86 is that this paragraph could just as easily be written about the Ecoboost Mustang. And I'm seeing brand new ones for sale well under $20k on Autotrader. It's also a sporty 2+2 but it has a (barely) more usable back seat, way more hp, and tons of actual torque. Adding significant power is cheap compared to the Toyobarus thanks to the wonders of turbocharging. And the Mustang has a much larger dealer network to sell/service the car. And for around $600 you can flash in a substantial increase for both HP and torque without even voiding the warranty on the Ecoboost Mustang. In terms of the BRZ/FRS/FT86/yaddayadda vs. the boosted stang - I guess it depends on what you're looking for out of the car. I drove a brand-new Ecoboost in an autocross setting and honestly it was pretty underwhelming, especially in comparison to the twins. I'll concede it's probably better at just about everything else though. As always, YMMV. The site showed up as #1 on google and at least vs. the other sites I found shows far more salvage title cars than any other site. Let's make a simplifying assumption that certain cars are not disproportionately represented on the site, because it's a business and I can't imagine why the twins are more or less there vs other cars. If I add up the twins on the site currently I see 76 cars. Using database from http://carsalesbase.com/ i found that there were 102,419 cars sold through end of 2017 (from beginning of sale in 2012). This implies salvage rate of 0.074%. If we just use the same methodology for Mustangs (since it was brought up below), the numbers are 1208 salvage cars, and if we assume average life of 10 years that's 855,081 cars sold, implying a salvage rate of 0.141%, almost double that of the twins. But since Mustangs have been around for a really long time, maybe the total denominator should be a million, or 1.5mm (last 15 years of sales), or even 2.0mm (last 18 years of sales). I don't have the right number for sure, but I haven't been able to find a source that says how many are still on the road today. Either way, unless you think that the number is 2.5mm+ I think the stereotype that somehow twins owners are just drifting idiots is not justified. Full disclosure - I have a FRS that I track, and candidly have not found the level of discourse on facebook or the forums to be as extreme as it's portrayed, but I wanted to see the data myself so there you go. Take it for what it's worth. You'll never see a turbo FRS-BRZ in this generation. If they added 50 HP and a turbo, and IF the upgrades in this version are all that'd be needed to manage the power (brakes, etc)...you'd probably be talking about a $40k FRS-BRZ. They'd sell a handful, but it'd be tough to recoup the engineering investment. I like and appreciate them the twins and will probably own one some day. I just hope when/if they launch a new one it has an engine that's best-in-class when it launches...not just competitive when it was designed/conceived. 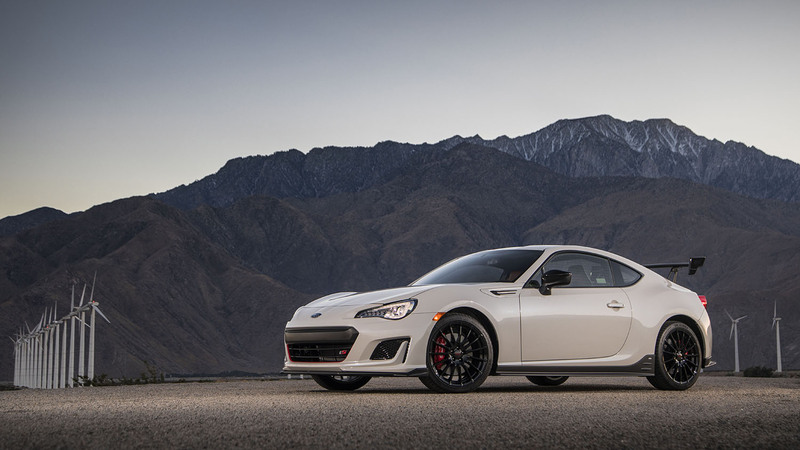 The FR-S/BRZ are rarely discounted much below MSRP. It's been a while since I looked seriously (I ruled these out of the last DD purchase options due to size/noise)...but you're talking about a $30k car new. Meanwhile Ford is happy to slap a pile of cash on the hood of the base-model Mustangs and FoST. Either one can likely be bought for low $20ks. FoST even sub-$20k. Miata is probably a more fair comparison. The people who just want something that "looks sporty" wind up with a Nissan Altima Coupe! I liked the V6 mustang better than the ecoboost. The 6MT car I test drove last year was plenty fast and sounded great. Indicated gas mileage in the V6 was actually a lot worse than I was expecting, even with cruise control at 75 mph. I also realized I'm just not the type of person who would DD a Mustang. I admit I didn't recreate your math, but your numbers seem to correlate to the salvage rate of each model versus ALL cars, not versus the number of each model sold originally. So if twice as many new Mustangs are sold as Frizbees (which seems conservative to put it mildly), of course Mustangs are salvaged at twice the rate. Maybe I'm reading your post wrong. While the price is similar, I think the better comparison is FRS/BRZ to Miata. The Boostang weighs, like, 500 lbs more than the Toyobaru twins, doesn't it? 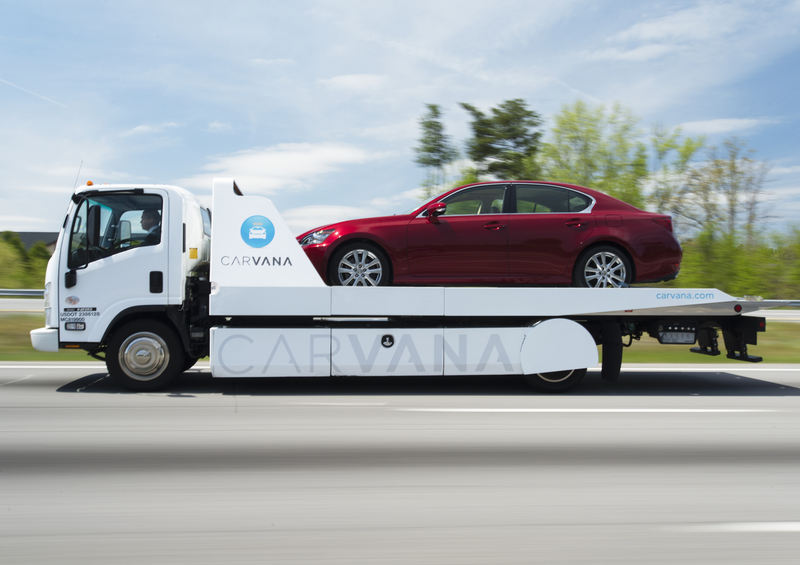 If you really want a big, powerful, heavy car you have lots of ways to get it for that price. Also, I have only a limited number of track days under my belt, but it seems like almost 100% of the Mustangs at the track - and there are a lot - are V8s.....there has to be a reason for that, no? I agree with you guys if all I wanted to do was go a little faster, but think it's a matter of "different strokes". I have owned many Mustangs, including the Coyote powered Recaro/Track Pack GT I traded to get my BRZ. I wanted something different and a lot lighter. Would I rather the BRZ had a turbo? Ummm ... /dead horse beaten/ of course. That said, I am enjoying the car a lot as it has great balance, excellent brakes, low operating costs, and appears to be teaching me a lot. The EcoBoost does not appeal to me at all without a tune, wheel and tire upgrade, suspension upgrade, and a brake upgrade, and even then... no thanks. The EcoBoost would feel like a waste knowing that the V8 is the superior way to drag that kind of weight around a track so I would not choose a new Eco over a used V8. I drove an EB Mustang back-to-back with a ND Miata and BRZ when I was shopping this past spring. The Mustang just didn't feel fun or fast. If I needed it as a commuter *and* fun car, then maybe I could see it. It was quiet comfortable. But as my second car is just a toy - the BRZ was way more fun. Also agree on dealers not dealing on new BRZs. I liked the car but not $26k much. I got a clean, stock '14 instead for 17k. "If I add up the twins on the site currently I see 76 cars. Using database from http://carsalesbase.com/ i found that there were 102,419 cars sold through end of 2017 (from beginning of sale in 2012). This implies salvage rate of 0.074%. If we just use the same methodology for Mustangs (since it was brought up below), the numbers are 1208 salvage cars, and if we assume average life of 10 years that's 855,081 cars sold, implying a salvage rate of 0.141%, almost double that of the twins. But since Mustangs have been around for a really long time, maybe the total denominator should be a million, or 1.5mm (last 15 years of sales), or even 2.0mm (last 18 years of sales). I don't have the right number for sure, but I haven't been able to find a source that says how many are still on the road today. Either way, unless you think that the number is 2.5mm+ I think the stereotype that somehow twins owners are just drifting idiots is not justified." Assuming there's 10 years worth of mustangs on the road (and I'm not saying it's a good assumption, just seems reasonable), then mustangs are likely to show up 2x vs. BRZ/FRS/86 on the website that I mentioned per 100 or 1000 or whatever base you want to compare it to. I'm just trying to demonstrate that whatever's people's perception of the twins drivers are it may be misguided, unless it applies to other sports cars as well. Yeah, went rhough that a second time, and I still don't really see where you're normalizing the number of salvaged cars for each model against the number intially sold. I just see some assumptions about length of time on sale, not on initial units sold per model. I don't understand what you mean by "normalizing." If 100 cars sold, and 5 crashed, then I divide 5/100 and get 5%. If 1000 cars sold and 30 crashed, then I divide 30/1000 to get 3%. That's all I'm doing except using data from sources that I can access. So there are two ways to do this: Take all the 2017 (as an example) salvage cars, and divide by 2017 cars sold. I was not going to count the number of cars for a particular year, so I took the other approach, which is to take all the salvage cars on that site (regardless of model year), and divide by a numerator that makes sense. Since the twins only started selling in 2013, I added the total number of twins ever sold in the US. For Mustangs, I took the last ten years of cars sold, while acknowledging that the number is not nearly as solid as the twins number since I don't know how many Mustangs are on the road today. STI-tuned MacPherson front, double-wishbone rear.